The Monterey Car Week is not just a soiree in which members of the American investor class meet on a golf course though that's the most. But sometimes it comes with actual car news. Surprising news even. And the biggest surprise we've seen so far is that the SSC Tuatara – the American supercar promised in 2011 – has reappeared with seemingly 1,750 horsepower. Hey, great! You may remember SSC North America (formerly Shelby SuperCars) as the makers of SSC Aero, which drove the fastest car in the world for several years. It has nothing to do with Caroll Shelby, but that's a nice coincidence when building fast cars. After that, but still in 2011, the Washington Store promised that the US should take over the Hypercar – something with a top speed of 265 mph and 1,350 hp premium gasoline. We had a sales target for 2013, but that came and went without a real car coming on the market. 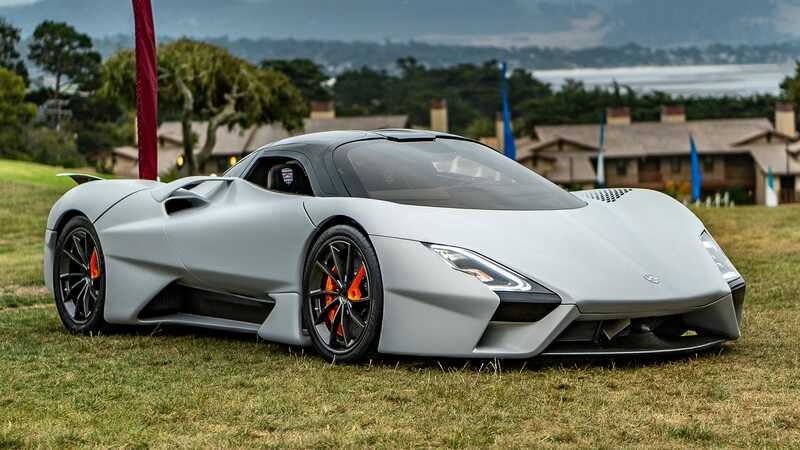 Lo and behold, the Tuatara has returned in Pebble Beach in 2018. The company claims that the production is "ready to go", and now the performance at E85-1,350 HP is rated 91 octane at a maximum of 1,750 HP. These figures come from a 5.9-liter flat-aircraft-crank twin-turbo V8 engine that was "built in partnership with Nelson Racing Engines," the company claims in a press release. It also has a pure carbon fiber body designed by Pininfarina, Bertone and Saab veteran Jason Castriota, and it's a body that has been conspicuous over the years. It is said that it has an extremely low drag coefficient of 0.279. In addition, no further details have been published today, especially the price or date of manufacture, although they are limited to only 100 cars. Will it happen? Is SSC real this time? As we said before, we will believe it when we see it for sale. But it's interesting to see some movement in this thing after so many years.